If you live in Saddleworth you’ll soon have another way to travel for work, shopping or days out with the ‘Saddleworth Rambler’. 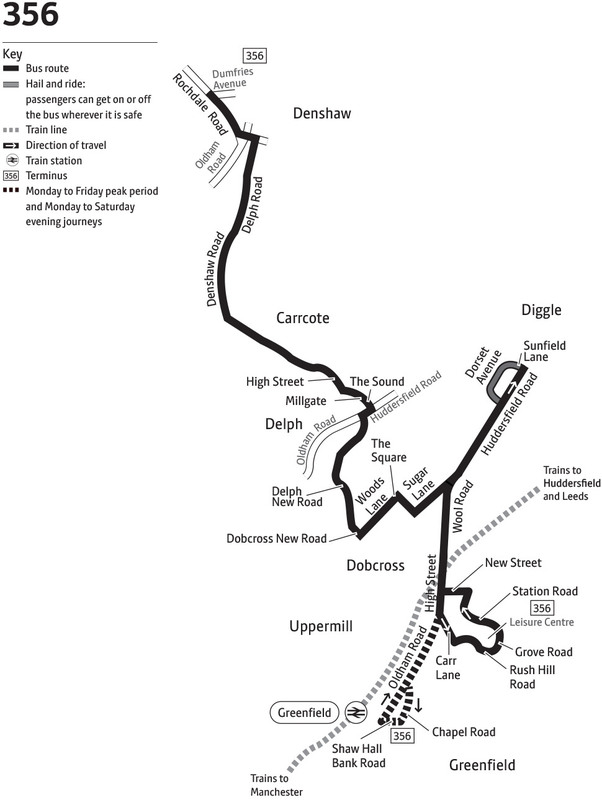 The new 356 service will connect the Saddleworth villages of Denshaw, Delph, Dobcross, Diggle and Uppermill like never before from 9 April 2018. The timetable has been scheduled to coincide with rail services at Greenfield station into Manchester, connecting with the last train in from the city centre. Perfect for your daily commute or some evening shopping. Departing at 7am on weekdays, the bus will run until 11pm Monday to Thursday and until midnight on Friday and Saturday. The announcement comes on the back of the Saddleworth Transport Survey, where residents highlighted a real need and appetite for a frequent bus service to connect the local villages. Transport for Greater Manchester will fund the service which improves access to evening leisure opportunities in Manchester and Saddleworth, and to the region’s commuters.